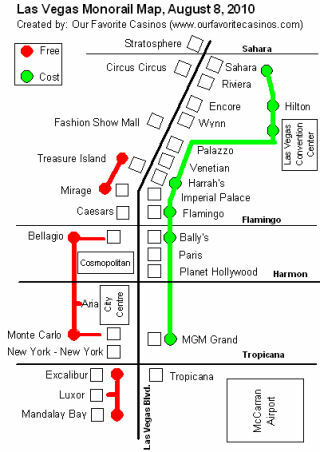 Ceasars Palace Resort Hotel and Casino in Las Vegas, Nevada has a 130,000 square foot casino gambling floor with 1,500 slot machines, 185 table games, poker, sport book, golf course and hotel with spa. The famous Caesars Palace is one of the world's best known resort-casinos and one of the most popular places on the strip. The decor is based on the glory that was Greece and the grandeur that was Rome. On the inside and outside this is a world class resort. Poker: Private 29 table poker room playing a variety of games. Sportsbook: State-of-the-art equipment like six 12-foot x 15-foot screens, a twelve 50-inch plasma screens, sixty-five private booths and lots more. 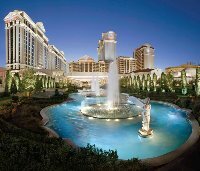 Caesars Palace is one of the most prestigious resorts in the world offering 3,348 rooms, suites and villas with impeccable service. Qua Baths and Spa offers a luxurious retreat into the natural healing powers of water and light to give you a one-of-a-kind experience. 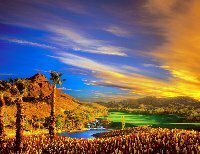 The award winning Cascata Golf Club is an exclusive course owned by Caesars and its a wonderful desert course. If you love golf, you must play at the Cascata.